Just 1 - 2 a day with plenty of water. Take one about 10am and the second by about 3.30pm (unless you want to be awake all night!) 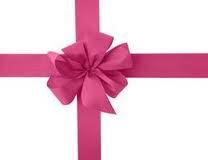 You will feel refreshed and more energetic, with a supressed appetite. Follow alongside healthy, balanced meals and some exercise for even more great results. 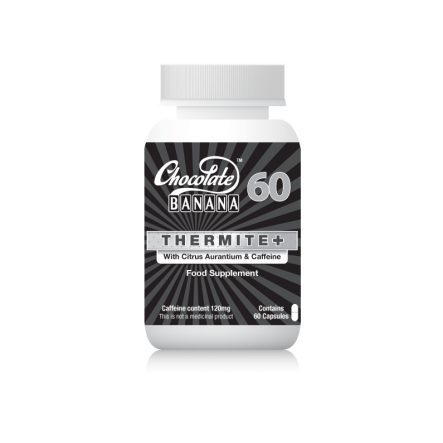 NEW to the Chocolate Banana family, Thermite is rammed with Acai Berry and Green Tea up to 70% more ingredients than a tablet. Giving the Appetite the heave ho and the Energy levels the Helloooo..
Thermite will help you to: Maximise weight loss Designed to help you maximise your weight loss when used alongside diet and exercise. Burn stubborn fat Using Thermite can help you shift fat from stubborn areas that are difficult to impact with diet alone. Achieve a toned and sculpted look Because Thermites ingredients help you maintain a healthy metabolism, they help you lose fat and achieve better muscle definition. Thermite stimulates weight loss by working to energise your metabolism whilst at the same time helping to lower your cravings for food. The revolutionary ingredients Acai Berry and Green Tea make Thermite one of the UKs leading dietary aids available to date, helping to keep you energised throughout your busy day. Thermite is a highly recommended fat loss product. Another NEW addition, Thermite + is a stronger more advanced version of Thermite containing Siberian Ginseng, Citrus Aurantium and Caffeine. Thermite + will help you to: Maximise weight loss -designed to help you maximise your weight loss when used alongside diet and exercise. Burn stubborn fat - Using Thermite + can help you shift fat from stubborn areas that are difficult to impact with diet alone. Achieve a toned and sculpted look Because Thermite + ingredients help you maintain a healthy metabolism, they help you lose fat and achieve better muscle definition. Thermite + stimulates weight loss by working to energise your metabolism whilst at the same time helping to lower your cravings for food. The revolutionary ingredients Siberian Ginseng and Citrus Aurantium make Thermite + one of the UKs leading dietary aids available to date, helping to keep you energised throughout your busy day. Thermite + is a highly recommended fat loss product.